Wounded Times: Business rips off Disabled Veterans Of America! 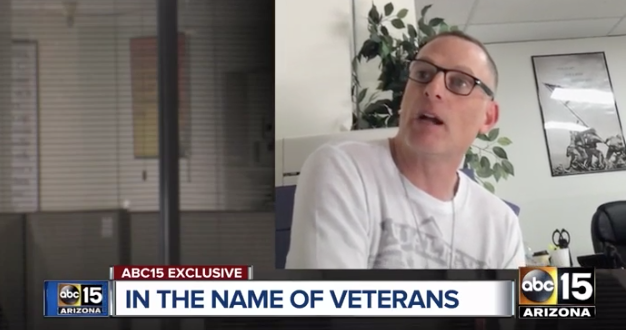 Business rips off Disabled Veterans Of America! DAV, their name got stolen...again! "I call myself the Disabled Veterans of America instead of David's Advertising so I don't get hung up on," he explained. Is Valley veteran business really doing charitable work? Make a lot of money all while helping veterans? Sounds like a great job, but it's not a charity. So is this local business doing a good thing or is it a misleading way to make money? An alluring ad you may have seen on Craigslist promises up to $8,000 a month for salespeople. And you'd be able to help veterans by working for the Disabled Veterans of Arizona. 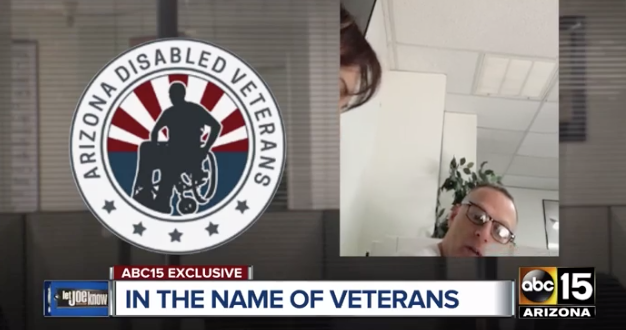 For $199, businesses would get a disabled vet sticker for their window, an advertising tax deduction, and their name listed on a website showing they support vets. But it was another part of the ad that we really questioned; it said that salespeople get to keep 60% of what they take in. Here are a few more that ripped off veterans recently! HARRISBURG, Pa. (WHTM) - A Thompsontown man has admitted in court that he defrauded a disabled veteran of more than $300,000.Jason Ehrhart, 48, pleaded guilty Tuesday in U.S. District Court to health care fraud. He also agreed to make full restitution to the veteran’s estate, U.S. Attorney David Freed said.A sentencing hearing was not immediately scheduled.Prosecutors say Ehrhart in October 2006 successfully applied to serve as the legal custodian of a former Perry County resident who had been diagnosed with multiple sclerosis while serving in the U.S. Army.The veteran received $476,260 in federal disability benefits from October 2006 to August 2016. In a lawsuit filed last year, the California Attorney General's Office alleged Matthew and Danella Gregory, along with their adult children who served as directors for the Wounded Warriors Support Group and Central Coast Equine Rescue and Retirement, used donations earmarked for wounded veterans for personal use. According to the Attorney General's Office, the defendants used donated funds for shopping trips, personal credit card debt and traveling. “These unscrupulous con artists exploited the generosity of Americans by falsely claiming to help our country’s wounded warriors and their families," California Attorney General Xavier Becerra said in a statement. "Instead, they used our charitable donations for personal gain. A jury of their peers has justly slapped down the Gregory family and their corrupt enterprise.